Whether you are a home owner building your dream deck or a contractor collecting materials to build someone’s dream home, ultimately, the question always comes down to “what is this going to cost me?” A customer wants to know immediately, up front, how much an order will cost at a specific lumber supplier. By knowing the price up front, the customer can compare the prices of several competing lumber suppliers, or even more importantly, compare the costs between comparable lumber species that will serve the same purpose but perhaps save the customer hundreds, if not thousands, of dollars. In theory, it should be as easy as calling up your lumber supplier and asking how much a specific number of board feet of your desired species will cost. However, because many lumberyards tend to disclose pricing for imported woods only upon actual purchase, you will quickly find that answers such as “it depends” will hold you off until you get to opening your checkbook where you may end up paying way more than you thought. The key to knowing exactly how much you will pay is to find a lumber supplier who will always give you a straightforward answer from the very first phone call. However, it is important that the customer understand that there are many influences on your final cost, including the amount of lumber, the size of the lumber boards, shipping, and even the availability of the lumber in specific seasons throughout the year. You may think that ordering larger sized lumber may get you a better price, but wider and longer boards are becoming more desirable these days, resulting in a price increase. Generally, if your order requests a board wider than 6-8”, chances are your price is going to be higher. As with many products, the time of year when you are making your purchase has a lot to do with the price. Certain board species are more popular, and in turn, more expensive at certain times of the year. Consider the best time to buy seasonal, holiday items in the stores. If you purchase right before that holiday, you will pay full price. However, if you wait a few weeks until the holiday is over, you can often get the items much cheaper. 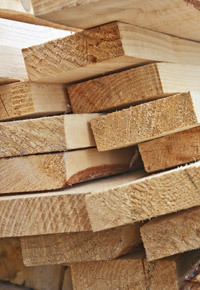 Consider buying your lumber also off season in order to get a better price. The region where your lumber is harvested will make a difference in price as well. African Mahogany may be more expensive as it faces numerous challenges to make it off the African continent and to the United States; in contrast, American Black Walnut or Appalachian Cherry, which are both sourced within the United States, will certainly be less costly. Taxes and tariffs will affect the cost of your product, as well. 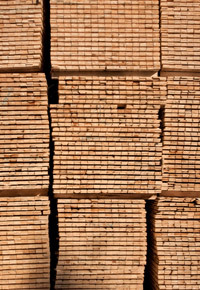 While you may find some lumberyards selling the product cheaper, you have to question whether the lumber was bought legally and ethically, in compliance with the many regulations surrounding exotic imported woods. 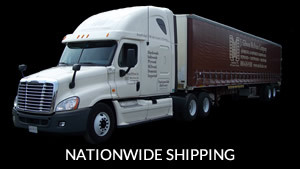 Shipping will be yet another factor that can influence your final cost. 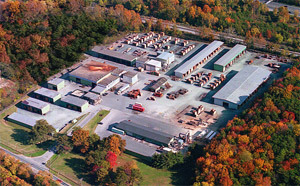 J. Gibson McIlvain Company has its own fleet of trucks; therefore, there may not necessarily be a line item shipping fee, but rather, the shipping costs are reflected within your lumber pricing. 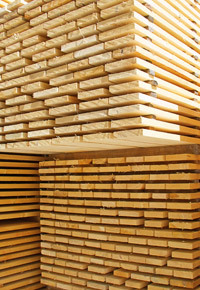 Specialty shipping requests, as well as sending lumber to hard to reach places, can affect your overall price. As with any purchase in life, ultimately some questions regarding quality and guarantee will always come up, but for most customers, the bottom line revolves around how much the product is going to cost, whether it fits in their budget, and if they can find a cheaper, comparable product. It is important to remember that because the lumber supply changes daily in the lumberyard, your price may change even day to day. However, by offering straightforward answers to questions about factors that affect your price, the J. Gibson McIlvain Company takes the mystery out of lumber pricing and, hopefully, also minimizes the surprise in the final check out price.